It was doomed from the very beginning. You cannot create out of risk-averse Japanese risk-tolerating Americans. 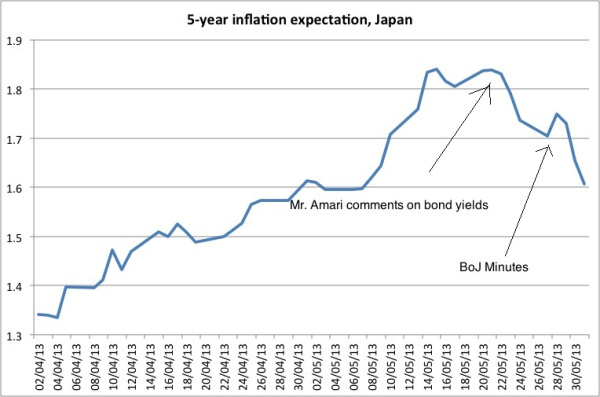 Public Japanese opinion puts enormous pressure on BoJ policy and on the government; the risks of rising JGB yields are too high. 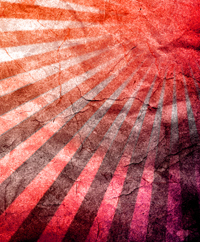 Japanese hate volatility, the government cannot risk its funding. 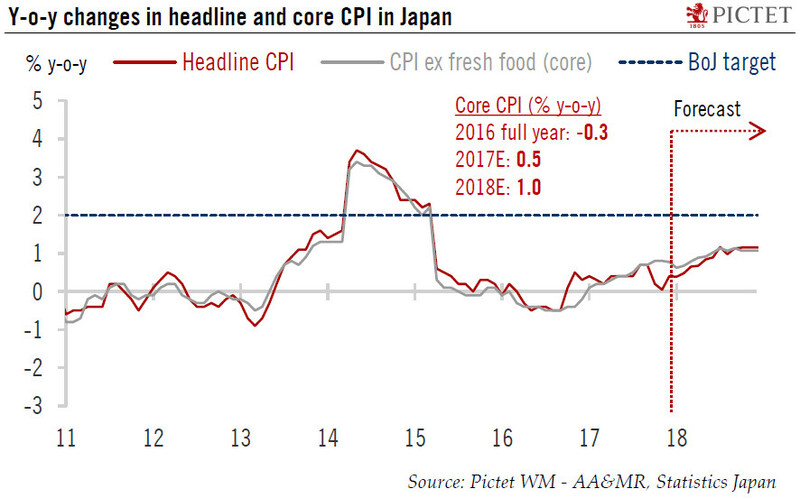 The emphasis on the word “sound” shows that the Abenomics in the sense that Japan will quickly achieve 2% inflation, has probably failed. 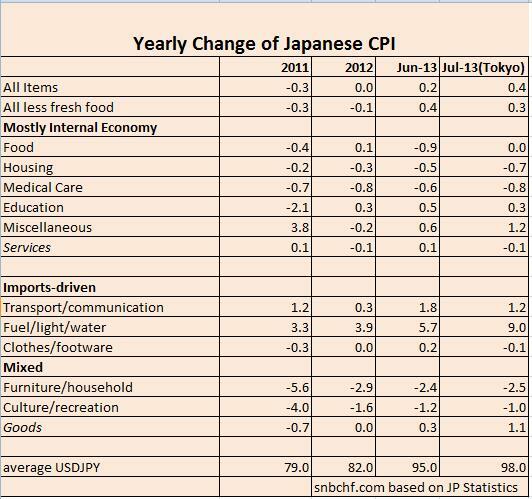 Kuroda managed to hike YoY inflation to minus 0.7% in April 2013. But inflation expectations fell from the + 1.8% top. 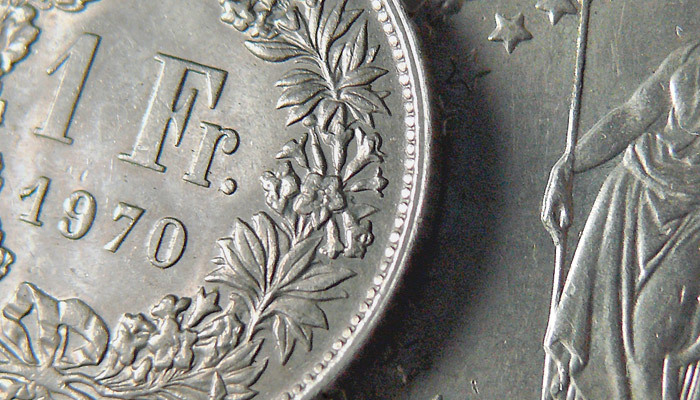 Market monetarists wanted to re-educate an entire people and teach them how to live the American way of life, i.e. massive deficit spending. There are many similar negative examples in history when leaders wanted to re-educate entire races. 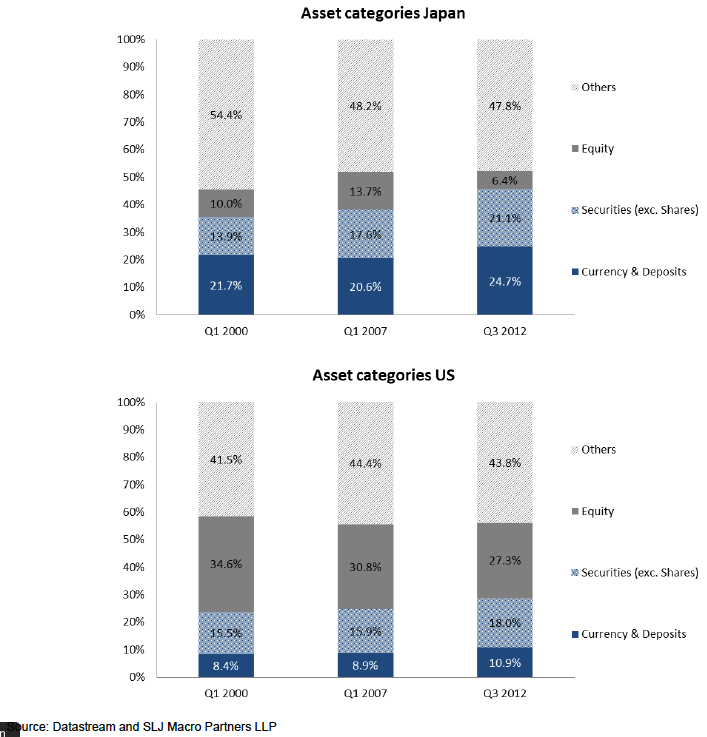 American hedge funds believed in this stupidity, they shorted the yen and bought the Nikkei. 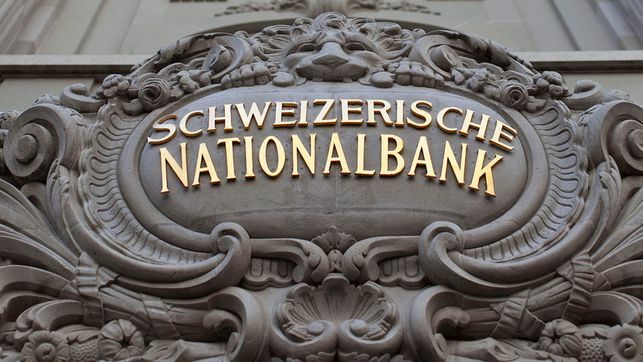 Cassandras like Kyle Bass or Axel Merk saw the JGB yields explode and that the country was going bankrupt caused by high inflation. They neither understand mentalities and that re-education attempts for entire peoples must fail. Pro-American chauvinism lets them forget that they should put their own house in order first. 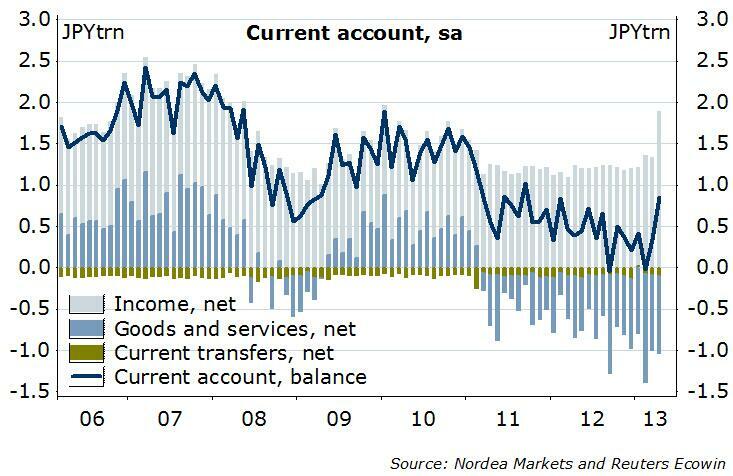 They do not understand that current account deficits are future public deficits. 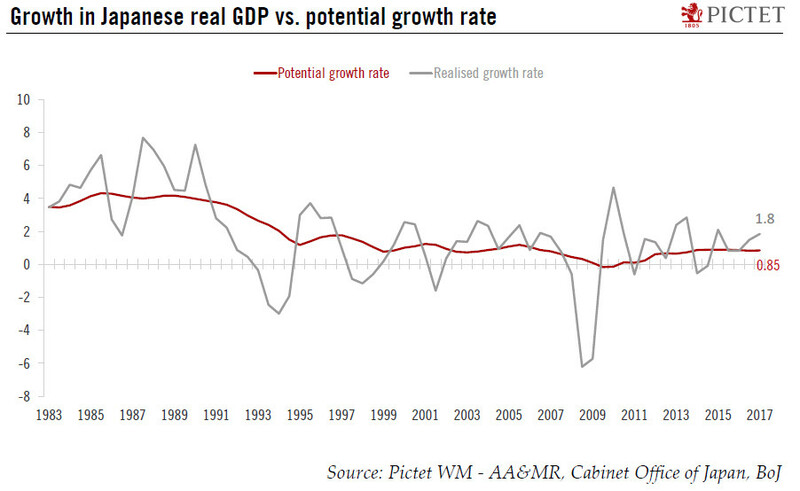 Japanese public debt lies in the hands of the Japanese private sector. U.S. public debt, however, lies in foreign hands, most notably in Japanese. And the U.S. reserve currency status that helps to maintain low yields, is slowly fading. 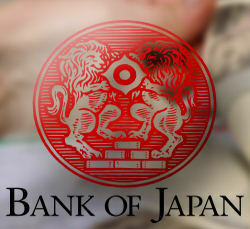 Japanese investors have kept their money at home and they sold their foreign holdings instead. 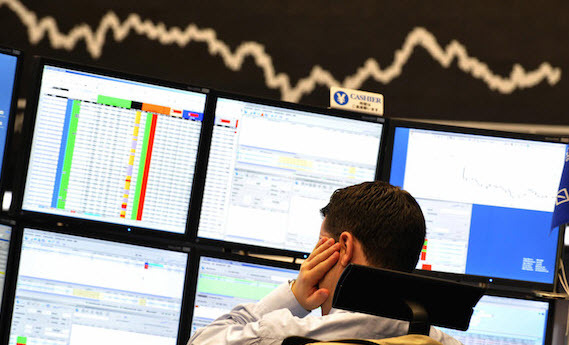 Foreigners burned their fingers and sold their Nikkei positions. Why should the Japanese buy US treasuries? The Fed will most probably drive real yields into negative territory again, while Japanese real yields are poised to be positive for the next couple of years. And if the Fed does not manage to drive real yields into negative territory, then Fed holdings would be doomed. 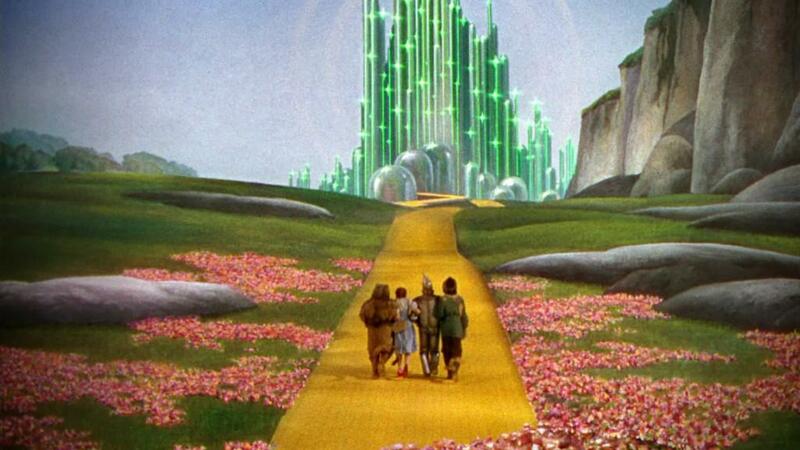 U.S. mortgage rates would rise and consequently, the housing market would collapse again. An ageing society (see the research) needs low inflation. 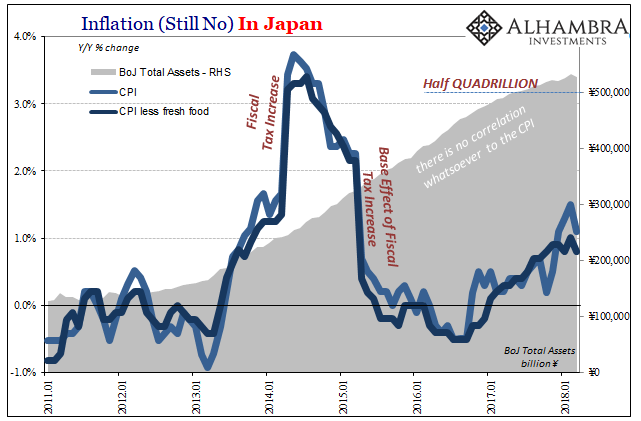 Already, the huge American reliance on gasoline as opposed to the technology-driven Japan (keyword: hedonics) opens a potential inflation gap of around 1% in favor of Japan. 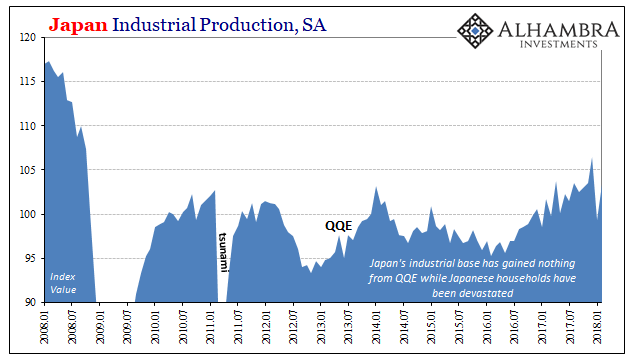 We believe in the Japanese economy, the balance sheet recession ended in 2010. Ageing issues might become weaker, fertility is rising. 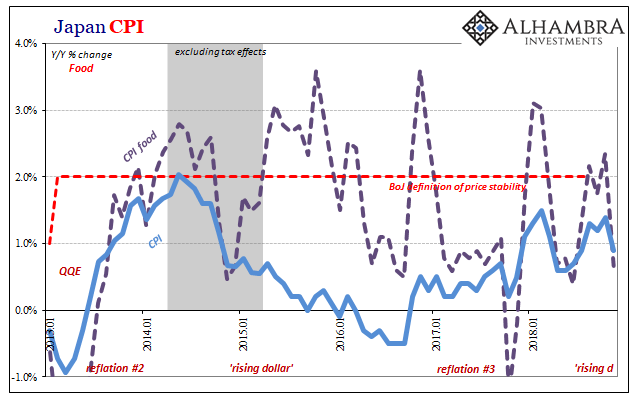 The 2% inflation target is probably broken for the next 2-3 years, but not out of reach forever. 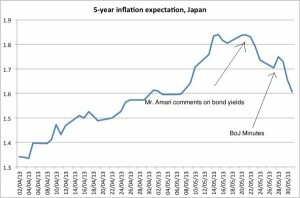 Japan may achieve growth and inflation. 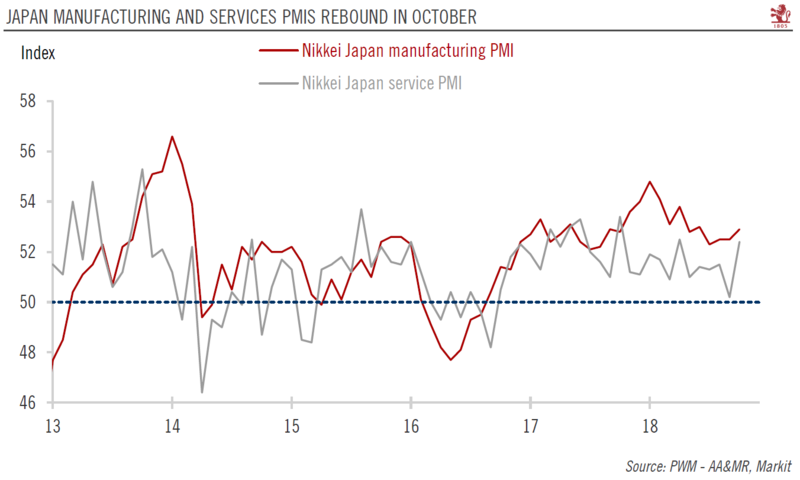 Yes, there might be a carry trade, long USD and short JPY: but how can you justify a carry trade, when Japan grows more quickly than the U.S.? 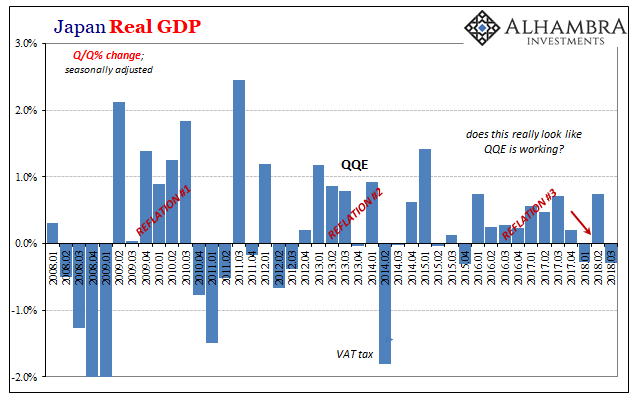 Japanese Q1 GDP rose by 1.0%, the American one only 0.6%, a tendency to be confirmed in Q2! 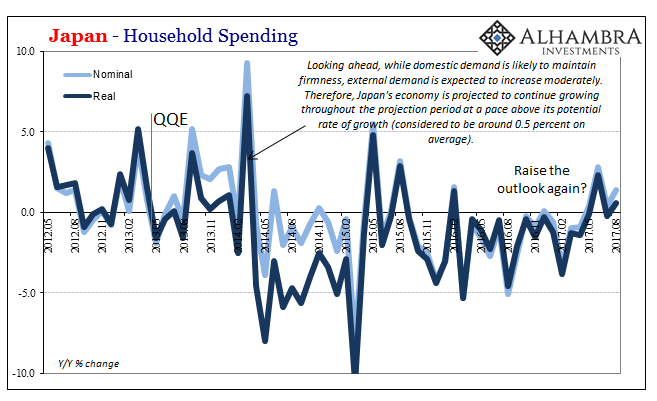 The U.S. might slowly become Japan, the U.S. society will be ageing and have huge welfare/healthcare expenses (see details); no matter how much the Fed and investors artificially sustain the housing market and implicitly force consumers to do deficit spending. The ones taking profit on U.S. spending will be, as usual, European, Japanese and Chinese exporters. 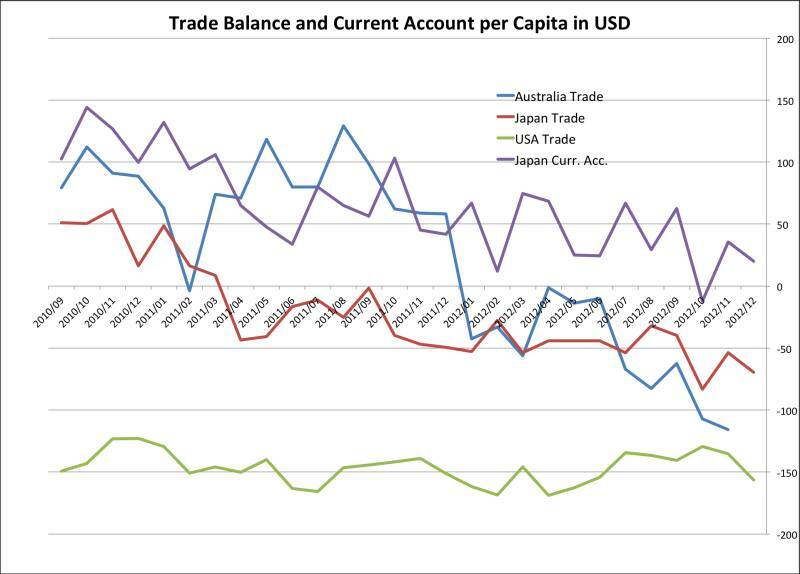 With the increased competitiveness thanks to a weaker yen and with weak Brent prices, the Japanese current account has turned positive again. 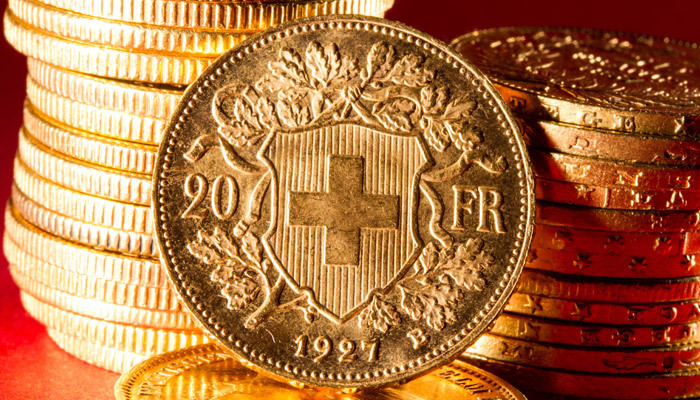 Introduce an exchange rate target and maintain stability! 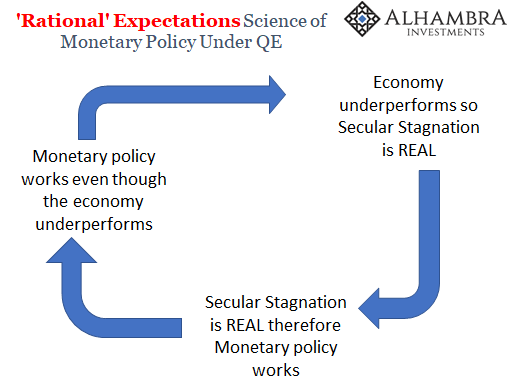 The Japanese public wants stability: the best way to achieve this is to clearly announce an exchange rate target of 90, to which markets could commit. 90 was the rate, that Japanese exporters wanted in 2011. This FX rate is still highly advantageous for Japanese exporters against their Korean and Chinese competitors, given Japanese deflationary effects and low wage increases. 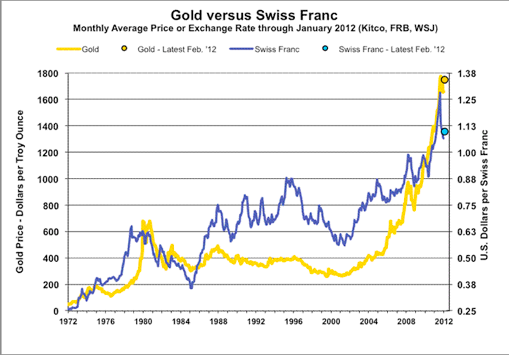 For the IMF, 96 was the fairly valued USD/JPY rate still in March. 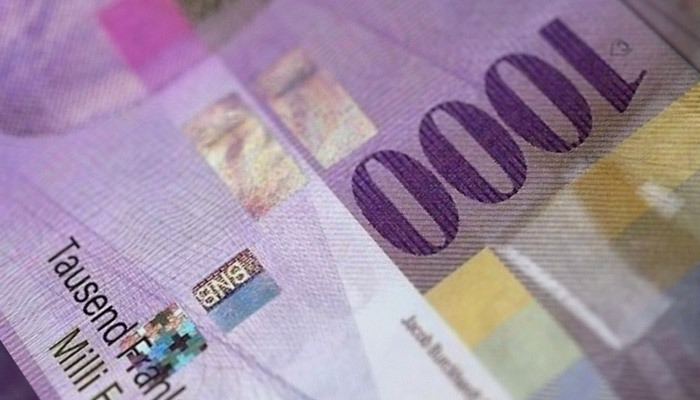 A USD/JPY range between 90 and 95 might move the Japanese current account to a neutral level, provided that the Brent price, the main driver of import costs, remains relatively stable. 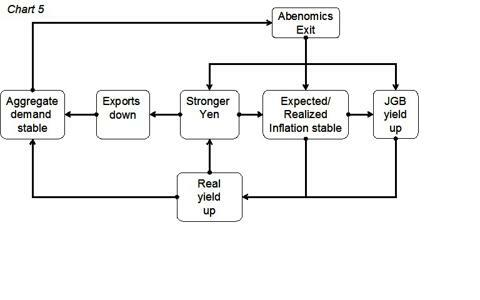 A weaker yen would increase the surplus. Japanese exporters might sell the dollars earned again, instead of investing them in the U.S. 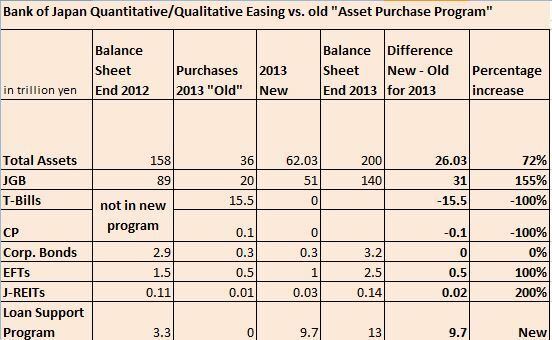 Communicating a soft FX target of 90 or 95 or even a minimum rate of 85 (under intervention thread) and a maximum rate of 100 could be a solution. 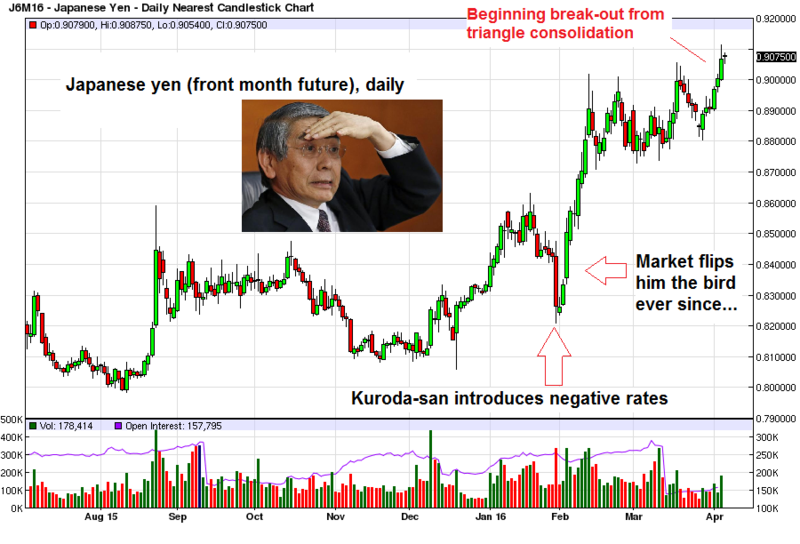 As example finance minister Amari’s warning on May 19 of a too weak yen, sent the yen higher. 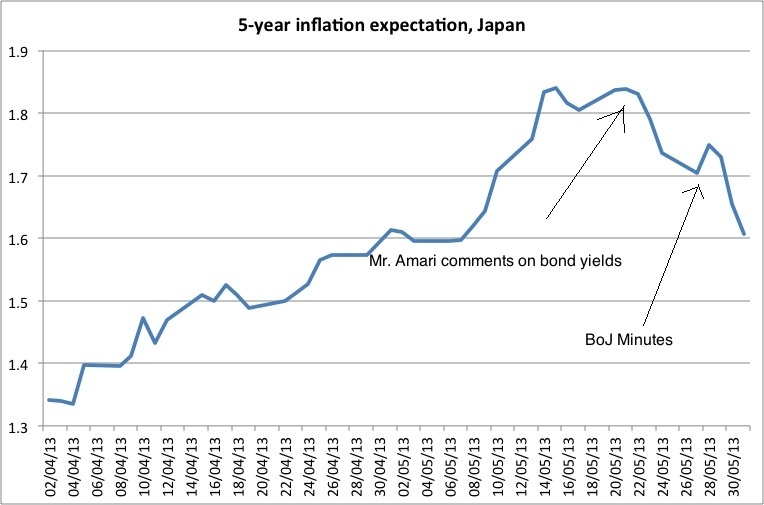 An FX rate range will delay the 2% inflation target, but it will be honored by the Japanese public opinion. 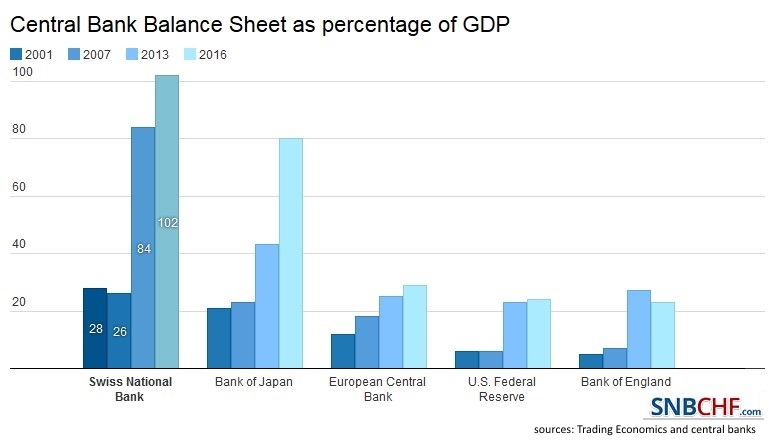 And it shows that central banks and governments cannot and do not like to distort stability forever. if you take the Chinese yuan, then there is already such a range, such a trader’s “dream”. When Will Hedge Funds and FX Traders Close their Short Yen Positions? Who Has Got the Problem? Europe or Japan?